Now here’s something you can snack on ’til the cows come home – and talk about passing a full-scale crash test, I mean snack test – especially for dummies! First and foremost, this takes the guesswork out of what to reach for when the munchies strike – no labels to read, no chemicals to dodge, no guilt to assuage – made from ingredients that are meant to be consumed by humans. And if there ever was a blank canvas ready to receive whatever you’re willing to throw at it – this would be it. Head to your spice rack, reach for dried herbs, chop up a few fresh, rattle a few bottles – soy sauce, hot sauce, maple syrup, blue agave, flavored oils, vinegars – I feel a little ditty comin’ on – be bold, bring heat, be mellow, bring sweet – this is a morsel you have to meet – feel free to tweet! Thank you – thank you very much! 1. I’m using dried so I’m soaking, but feel free to use the canned variety – drain & rinse before patting dry. 3. 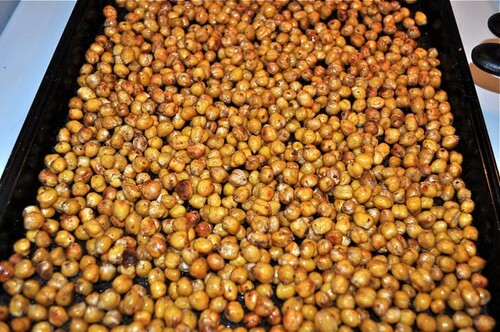 Whether dried or canned, drain in a colander and pat dry with paper towels. 4. Get your flavorings together. 5. Whisk them all around. 6. 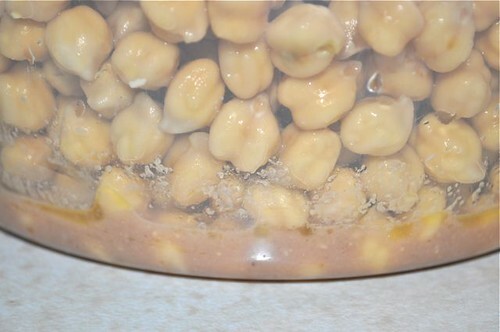 Put the chickpeas in bowl or a sealable container. 7. 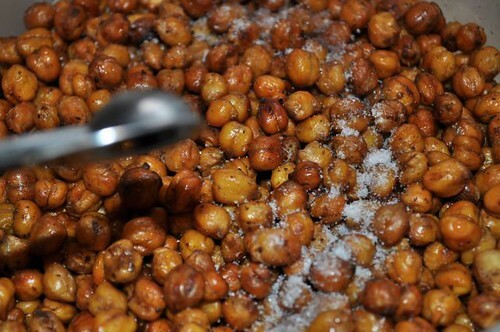 Pour the seasonings over the chickpeas and toss around to coat completely. 8. 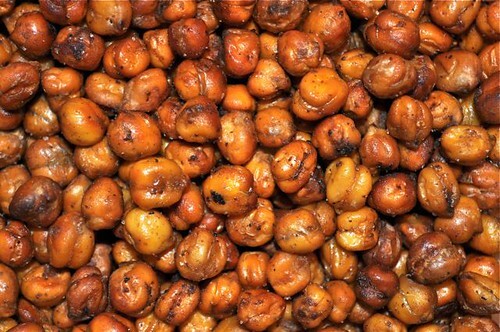 Spread evenly in a single layer on a baking sheet and head to your hot oven to get roasting. 11. 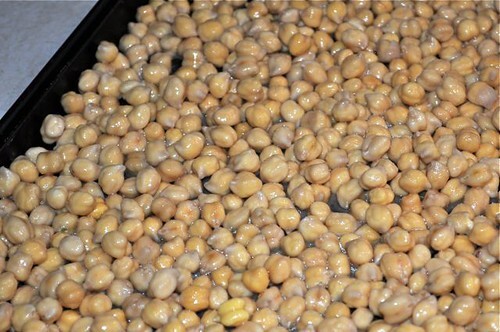 Finish with a sprinkle of salt over the hot chickpeas and leave to cool. 12. Store them in a sealable container, if they make it that far. 13. Get yourself a bowl and try not to do your Pac Man imitation while you’re at it! 1. 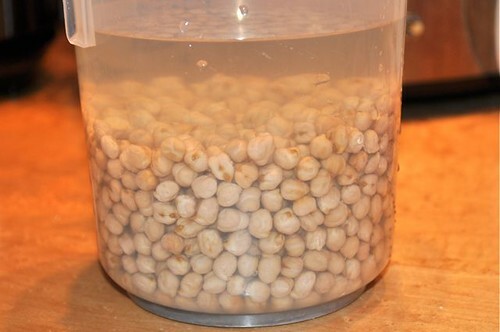 Soak 1 pound dried chickpeas or crack 3-4 of the canned variety, drain and rinse. 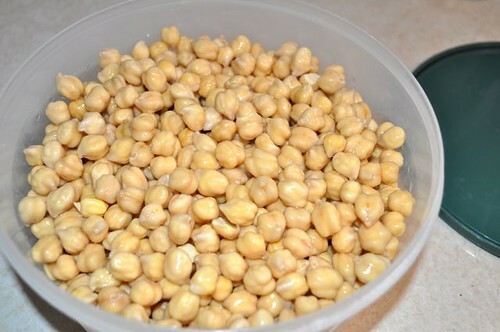 If starting from dried, place the chickpeas in a medium bowl and cover with 2 inches of water. Soak overnight. Drain and cook using the method of your choice. 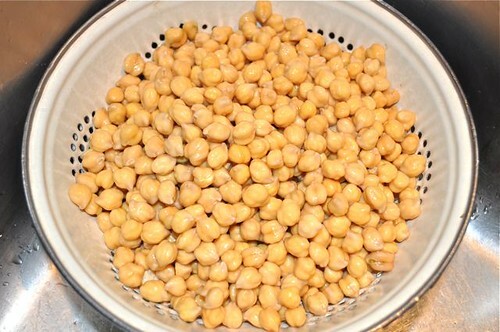 Whether cooked from dried or canned, before adding the flavourings, spread the chick peas out on the baking sheet and pat dry with paper towels. 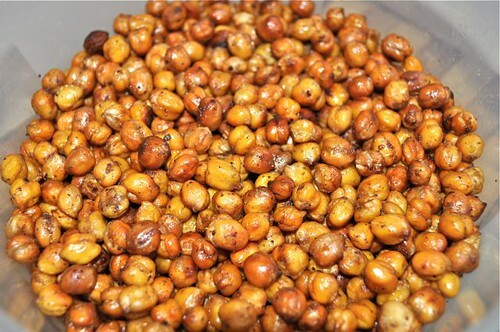 If you’re simply using dry flavourings, drizzle the chickpeas with a couple of glugs of olive oil before proceeding – no need if you’re going the wetter route. 2. Heat the oven to 425°F. 4. 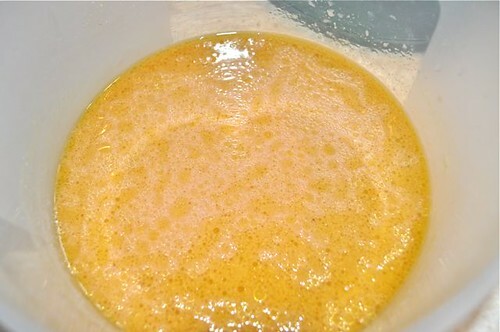 Add the cooked chickpeas & mix to coat thoroughly. 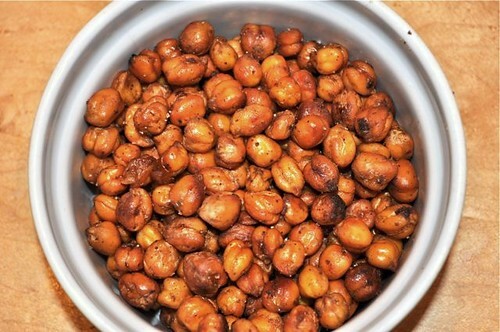 Spread the chickpeas on a baking sheet and roast until golden brown and crunchy. 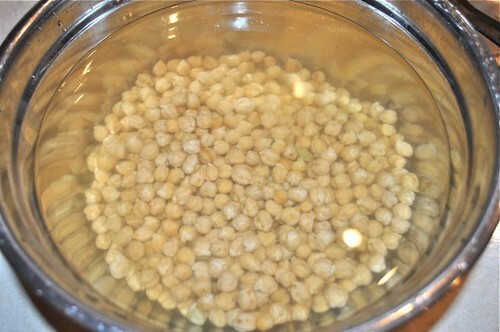 Move around every 15 minutes or so, and keep this up until the chickpeas are crisp, 45-60 minutes. 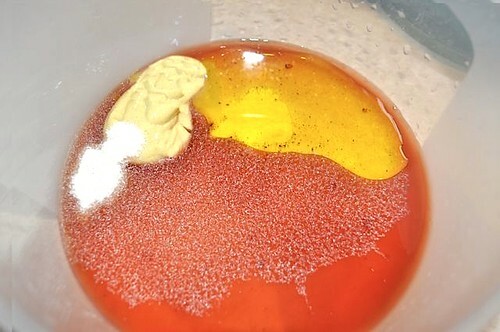 Remove from the oven and spread allow to cool completely before serving as a snack or sealing in an airtight container.